Located off U.S. Highway 41, RiverTowne Country Club is situated among scenic marshlands and live oaks, with 13 holes routed along the Wando River and Horlbeck Creek.The Arnold Palmer signature course features tree-lined fairways – some of those live oaks draped with Spanish moss – and generous landing areas to set up approach shots to multi-tiered greens guarded by bunkers and water. This is a true shot-maker’s course that can be stretched to a whopping 7,188 yards and a slope of 147. The fairways are ample and do not take the driver out of your hands. The greens are on the large side and roll true. They are kept at a medium speed, befitting a resort area course. 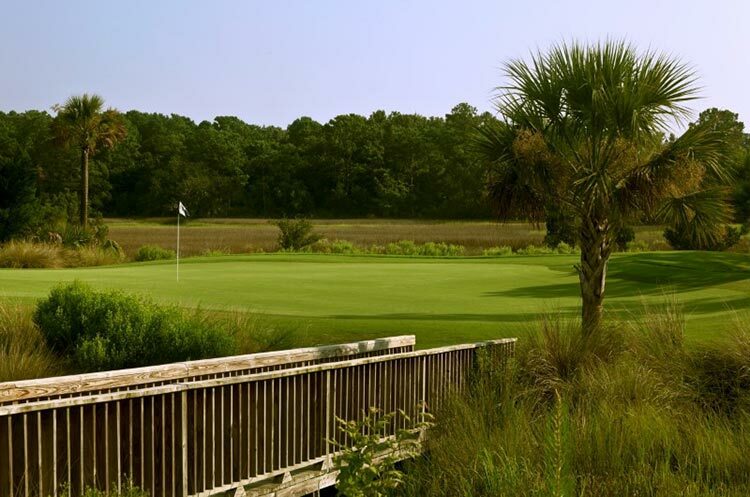 To learn more about becoming a member of RiverTowne Country Club, contact Jaime Rau at 843-849-2400 Ext. 3 or jrau@rivertownecountryclub.com.